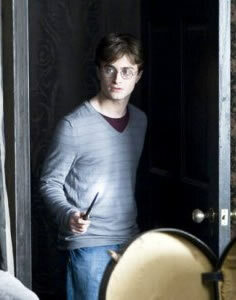 The imperius curse is one of the unforgivable curses and, in the scheme of things, possibly the most dangerous. With a whisper and a flick, you can brainwash another person into doing pretty much anything, with the victim none the wiser and believing they are doing right.That said, if used for reasons other than deception, lies or worse, there are ways the imperius curse could be useful in the real world. No one would bother with anesthesia when they could undergo a simple flick of a wand. Casting the imperius curse over a doctor appointment or a dental surgery is the answer to everyone’s fears. Really, who wouldn’t want to ask their family or friend to cast this upon them so they can, without worry or dread, make their annual check-up a breeze? Imagine a lengthy road trip free of pouts and backseat fighting from children, the awkward commentary from a passenger and pitstops at crumbling gas stations. A quick cast of the imperius curse would leave all passengers relaxed, content — and most of all, quiet. The driver would be left to the scenery and be able to rock out to their music of choice. Besides using magic to get a friend to quack like a duck for a party trick, consider all the practical applications. Want to quit smoking or drinking? Easy. Though rehab and intervention shows on reality TV would decline, quitting something hazardous to your health is nothing but positive. Instead of using the imperius curse for deception, muggles could use it to kick the bad habits that plague them. In the same vein, why not use the imperius curse to lose the extra pounds you’ve been trying to shed? It’s all about making sure that when the curse is cast it expresses that the additional slice of cake and that party-size bag of potato chips do not constitute a dinner, but salads are your friend — and yes, you must wake up at 5 a.m. to go to the gym. Who hasn’t been invited to a dinner party that they wish they could get out of, knowing that declining the invitation would cause drama? Spend those hours smiling and nodding in a haze of happiness, with no worries you’ll be looking surly or bored. Everyone at one point or another has a family holiday experience that could come out of National Lampoon’s Christmas Vacation. Some might think it grand to cast a little spell on your family members when the time is right so you don’t have to suffer through Aunt Selma pinching your cheeks, gulping down another bite of your cousin’s fruit cake or staving off those awkward conversations about why you’re not married and providing grandchildren for your mother. A lot of women might balk at this one, because giving birth is indeed a miracle, but many women would likely admit they could do without the 24-plus hours of intense labor and gripping their husband’s hand with Hulk-like intensity. The pain would all go away if the mommy-to-be is put under this spell. All she’d remember is going to the hospital, then basking in the glow of holding her new child once it’s all over. You can’t conquer fears under the curse because, as Harry found out when he was placed under the spell, all you feel is a vague happiness — your fears just vanish, you don’t really have to face them. But this would come in handy for the child who is afraid of needles or a person who is afraid of flying. You might still be afraid of it later, but it’s worth it if it gets you through the rough part. No more complaining from the kids and no more nagging your spouse — instead, household chores would get done with a smile and no questions asked. They’ll be happy to do it as well. Imagine that! It’s no fun going to see a movie or watching a television show that you just don’t want to watch. With the imperius curse, your significant other can enjoy something the other is passionate about with ease and both parties end up happy.